There are over 100,000 species of fungi. Some of them are one-celled like the yeasts; others are complex like mushrooms and some of them are called imperfect fungi. Fungi are the major decomposers (besides bacteria) and some parasitic forms of fungi may also cause diseases in plants and animals. Zygomycetes – the conjugation fungi. Basidiomycetes – the club fungi. Ascomycetes – the sac fungi. 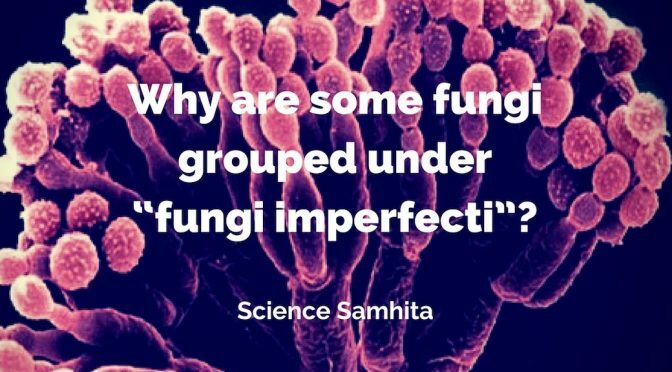 Fungi imperfecti – an artificial group. Why are they grouped under fungi imperfecti? There are around 20,000 described species of Fungi Imperfecti in which the sexual reproductive features are either not known or are not present. Most Deuteromycota have only asexual reproduction as the sexual stage of the life cycle has been lost or is yet to be discovered. Their lack of sexual stages was the basis for them being called fungi imperfecti in the past. Other groups of fungi in which asexual reproduction is the major method of their propagation are usually classified by the features of their hyphae & asexual reproduction. 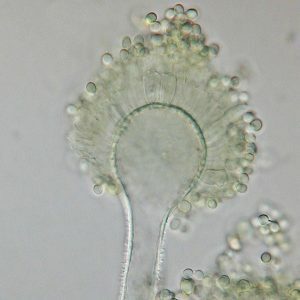 Conidiophores or conidia in Aspergillus flavus. The classification of Fungi Imperfecti is totally artificial. It is mostly based on their characteristics of vegetative spores or conidia and has nothing to do with the sexual stages in the lifecycle of fungi. It is like putting something in a group that doesn’t belong to any of the other group in order to catalog or identify them. However, there is strong confirmation that majority of these fungi are of related to Ascomycetes. It is believed that many of them are Ascomycetes whose sexual stages have not yet discovered or had simply escaped discovery. Alternaria solani cause Early Blight of Tomato and Potato. Aspergillus flavus grows on Corn, Peanuts etc. Verticillium albo-atrum pathogen of Alfalfa and Cotton.